Rep. Hall's August Legislative Summary! 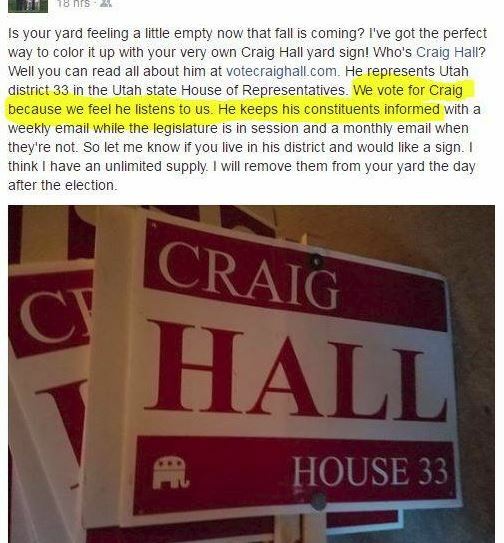 Home > News > Rep. Hall's August Legislative Summary! 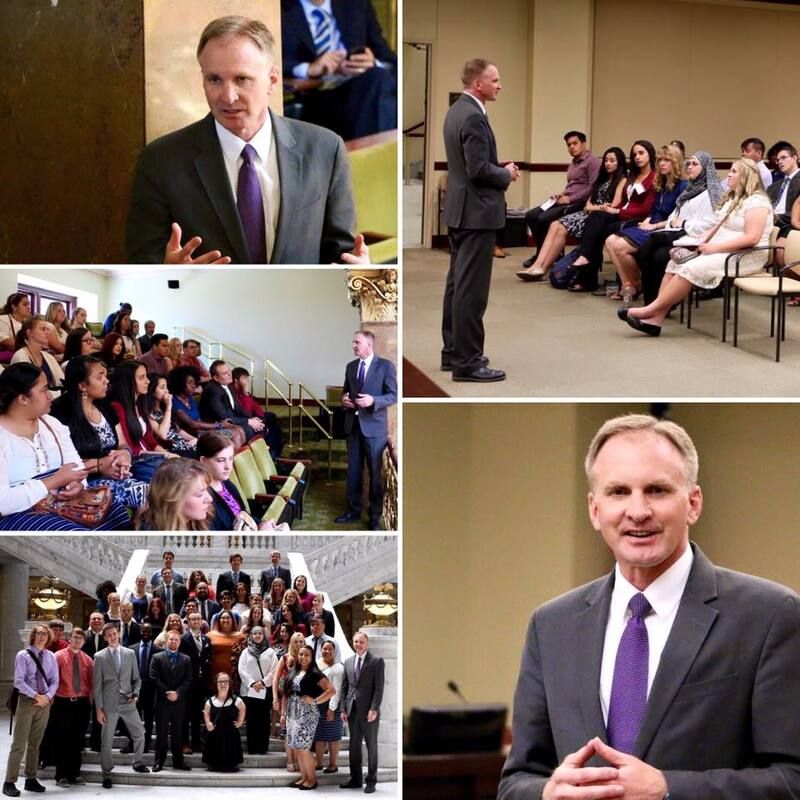 Had the wonderful opportunity in early August to speak with students from Salt Lake Community College at the State Capitol. Inquisitive group and fantastic questions. With students like these, the future is bright! Thanks for coming! 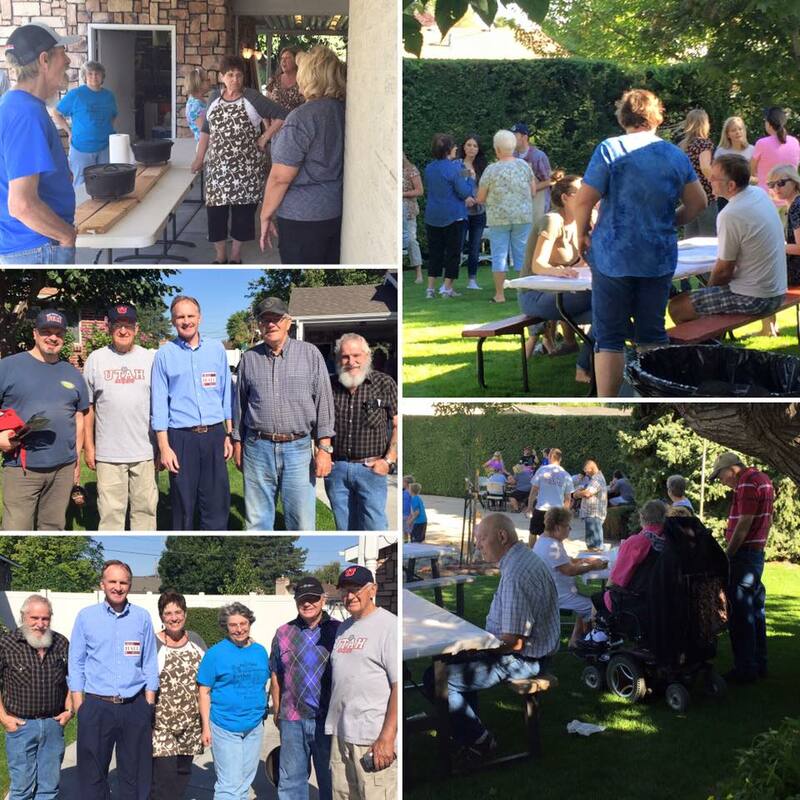 Thanks to the Westwood neighborhood for an invite to their annual breakfast this last Saturday. Great turnout. Over 140 attended! Wonderful tradition. Amazing cooks (including our very own City Council member Steve Buhler). Great seeing familiar faces and meeting new friends. West Valley residents are the best. Thanks for your support! Thanks to Stansbury Elem. and Molina Healthcare for putting together a great activity for our community this month right as school started. 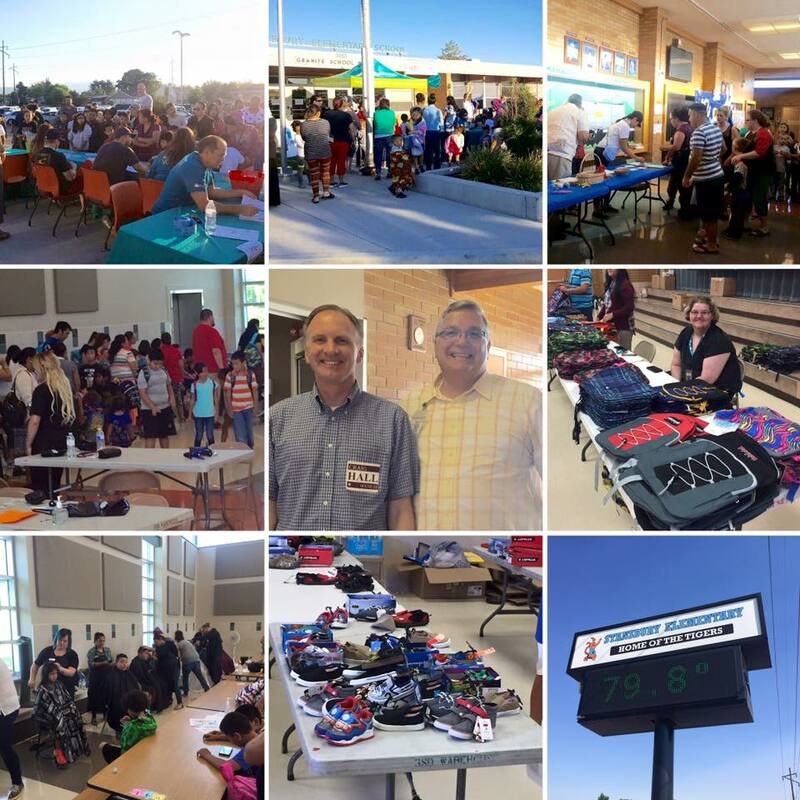 Free school supplies, backpacks, shoes, vision screening, haircuts and more! Fantastic turnout. Easily over 1,000 attended. It was wonderful meeting so many of our neighbors! 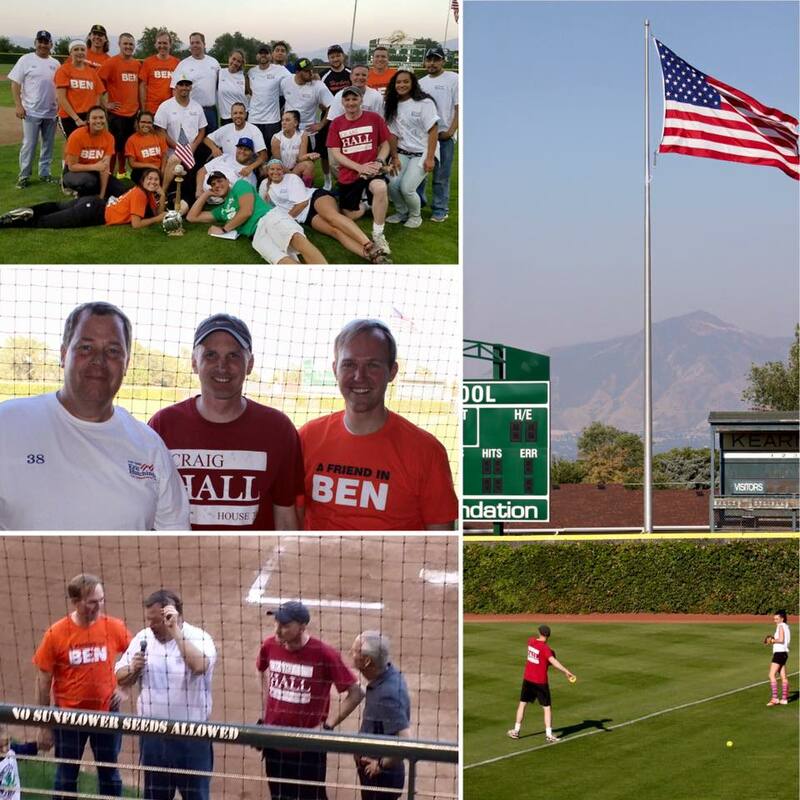 Democrats and republicans got together a couple weeks ago for a fun bipartisan softball game! We raised over $2,800 for the Utah Youth Village. Thanks to Mayor Ben McAdams and Rep. Hutchings for organizing the event. Working together to find solutions for our community is always the way to go. Thanks for the invite! It's hard to believe, but we are less than 75 days from Election Day. We have been busily reaching out to voters within District 33 through knocking on doors, being part of community events, meeting voters at events and on their front porch, putting up signs, etc. It has truly been an honor representing the great folks of District 33. I feel good about what we have accomplished over the last few years and look forward to representing my neighbors for another term at the State Capitol.